The proliferation of digital communications makes high-quality print stand out and have a greater impact. Print has an important place in your business as a natural extension of your brand. Making a good first impression is therefore critical. For potential clients, your printed materials should cement your brand into their memory: it should be distinctive and memorable. Detail matters to your clients and that also needs to come through in your printed materials by combining your unique style with attention to detail and high quality. We design your print with these elements in mind, either for a new brand, a complete rebrand or by utilising your existing artwork and logo consistently across all your branded materials, including letterheads, compliment slips, business cards, folders, note pads and brochures. Being distinctive does not mean being gimmicky, so we advise you to avoid gimmicks. Much like your business, the best stationery makes its mark by focusing on understated quality: the focus of our design expertise. But sometimes, a little investment can add significant value – for example, thicker white business card with raised digital embossing where your logo stands out. Working with Maltin PR we found we could get everything we needed from one team, who work closely together in an integrated way and who understood the pressures we were under. They calmly steered us towards what we really needed and when. Website design, marketing materials, communications advice and PR all came together and worked brilliantly. Beyond your stationery and business cards, marketing collateral materials should convey a strong message about your business and the services that you deliver to clients. To help drive your business, they should familiarise clients with your services while simultaneously promoting and underpinning the values of your brand. As one of our clients, that can best be summed up in one word: quality. In all items of marketing collateral, this is precisely what we deliver. Whatever items you require, we strongly advise that they support and reinforce your brand. Ideally, this involves using forms of collateral which tell the story of your brand and identity. We can evaluate a range of possible options to discuss with you, using our design and branding skills to select and create the right formats for your messages. Individual items may be related to a one-off event, such as a conference or client party, or they might be designed more generally to comment a specific message. Everything you give to your clients leaves a powerful impression. 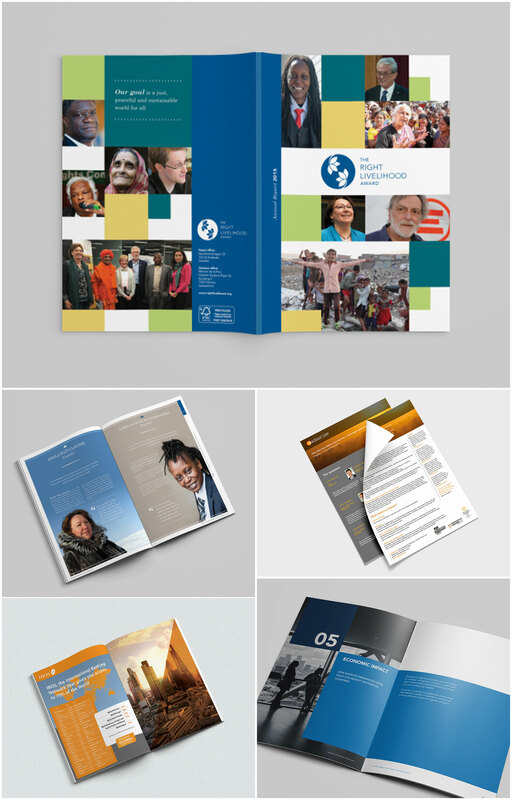 In the digital age, printed brochures can still have a strategic role for your business. As an effective marketing tool, they create cut through to clients. But only if your brochure has immediate appeal: the average reader will take less than five seconds in looking at the cover to decide whether or not to read it. Image therefore matters. Whether paper or digital, we recognise that your clients can instantly recognise a really good brochure: a compelling informative document that is well-designed with quality content supported by quality images and printing. One that makes the right impression by focusing on the benefits that your clients will enjoy by working in partnership with you. When describing and promoting your services, brochures need thoughtful integration of well drafted content with complementary design. We provide an entirely holistic approach to deliver this since we both design and write the copy for your brochure under one roof. 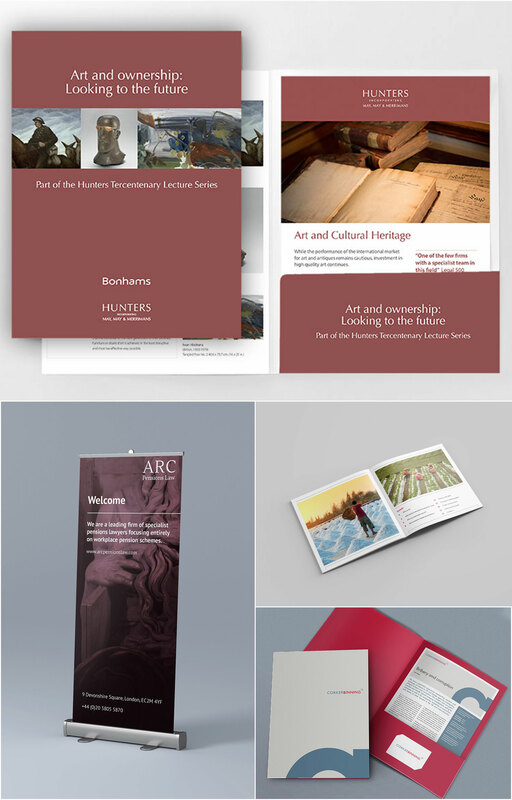 We frequently write and design digital brochures, which can either be a PDF of your printed brochure, or entirely customised for online viewing in HTML format. Paradoxically, the proliferation of digital communications makes old-world communications stand out more, and have a greater impact. Stationery has an important place in your business as a natural extension of your brand. Making a good first impression is therefore critical. For potential clients, your stationery should cement your brand into their memory: it should be distinctive and memorable. Detail matters to your clients and that also needs to come through in your stationery by combining your unique style with attention to detail and high quality. 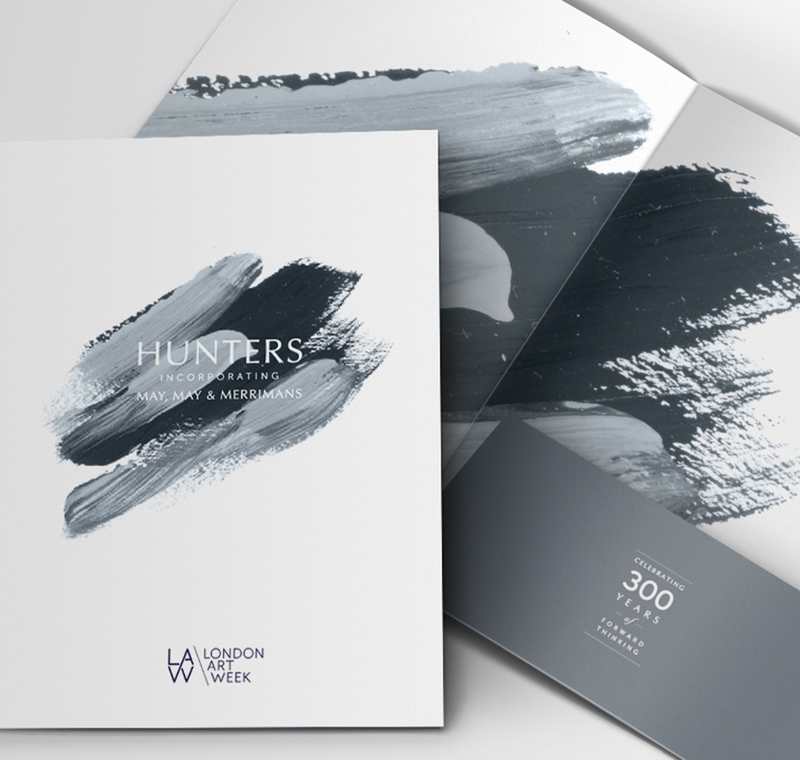 We design your suite of stationery with these elements in mind, either for a new brand, a complete rebrand or by utilising your existing artwork and logo consistently across all your branded materials, including letterheads, compliment slips, business cards, folders, note pads and brochures. Digital stationery is also a key part of the equation. We create templates for all your documents so that these can be personalised in-house. However, the full impact of digital stationery can go much further: PowerPoint deck templates unique to your business, pitch materials for important meetings; client and team onboarding packs; as well as other internal communications documents. We can create customised digital stationery templates for every aspect of your work. A well-researched report demonstrates the quality of your thought leadership and enhances your reputation. But many reports are still published with inadequate thought given to design. The result is that they are often dull and uninspiring in appearance so that the investment of time in writing them is wasted because they remain unread. To amplify the quality of your research, professional design really matters: to keep readers engaged and to create a good impression of your business. In short, reports need to be clear and engaging, with plenty of room for the text to breath on the page. Our experience in designing reports covers a broad spectrum of clients across a wide range of sectors and services. In supporting quality content, we therefore focus on the layout and appearance so that they complement the subject matter, bringing it to life and making the data readily accessible for readers. We design reports that are presented with the reader in mind: easy to consume to ensure better engagement. All our reports are delivered with space to breathe on the page: produced on high quality paper with a good finish, they are well-balanced, cleanly structured and aesthetically appealing. In terms of data, we advise a less is more approach so that the reader is not overwhelmed. The care that goes into the selection and presentation of data reflects the care that goes into the report. Using charts, graphs and tables can be pivotal in explaining important trends or current issues. But the most effective way to convey complex data is by being clear and simple – explaining it in stages. Infographics can genuinely help readers to gain something from reading your report: graphics and images that add real value to the text, making it visually attractive and easy to access. As well as one-off reports for your clients and the media, we also regularly produce Annual Reports for our clients.